In advance; Happy Easter everyone, I hope you all have a chocolate filled day with movies or a lovely walk in the country side, either way I hope you're having a good one (when it comes). 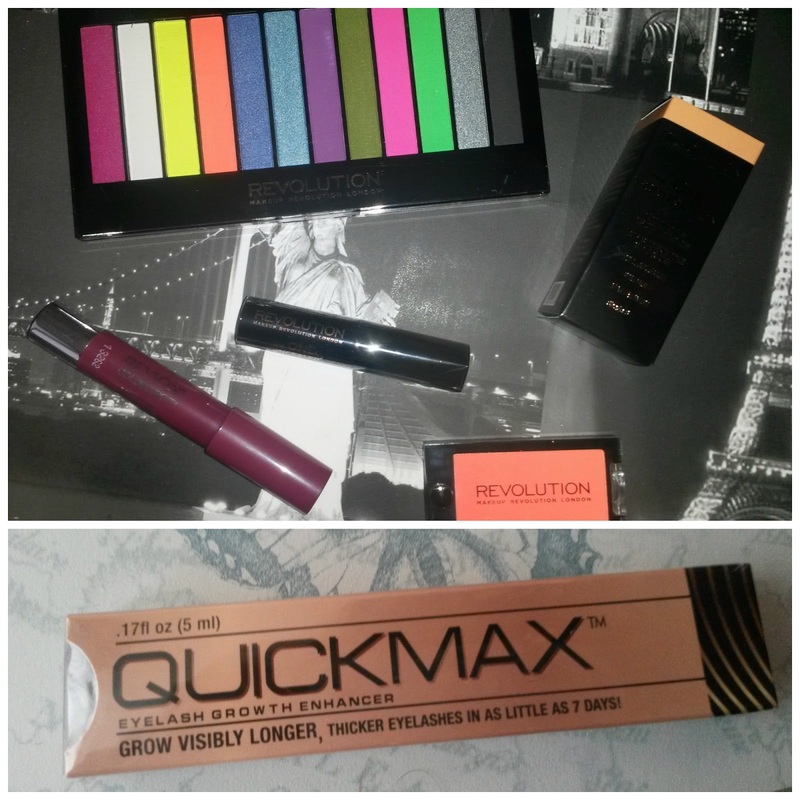 To celebrate Easter I've put together a great giveaway with some fabulous goodies up for grabs from Makeup Revolution, Revlon and StyleLux. Acid Brights palette - perfect for those who love to experiment with colours. I have this and it's a really lovely palette, the shades can be soft and subtle or built up for an explosion of daring brights. The One Concealer in medium. The One Foundation in shade 8. Revlon colour burst balm stain in Crush. StyleLux Quickmax eyelash growth enhancer. You must be a resident of the United Kingdom - This is a UK only giveaway. If you're under 18 please ask parental permission. This is a Rafflecopter giveaway however winner shall be selected using Random Generator. You must follow me via at least one of the following that connect to my blog to enter (GFC, Google+, Twitter or Bloglovin'). disqualified and all entries removed. result in drawing another winner. Giveaway ends on the 1st May 2014. I'd love to try the Revlon balm stain, still haven't got round to purchasing one yet. This looks amazing. Those colours in that palette!